I'm an addict. A full-fledged, mainlining, E36 M3 addict, and I haven't been able to lift myself out of it since 1995 when the E36 M3 was released in the U.S. By the summer of 1999 I jumped in at the tail end of the production run. I'll save you from all of the boring in-between details for now, but after trying to shake the chassis out of my system, my fourth example now sits in our garage. 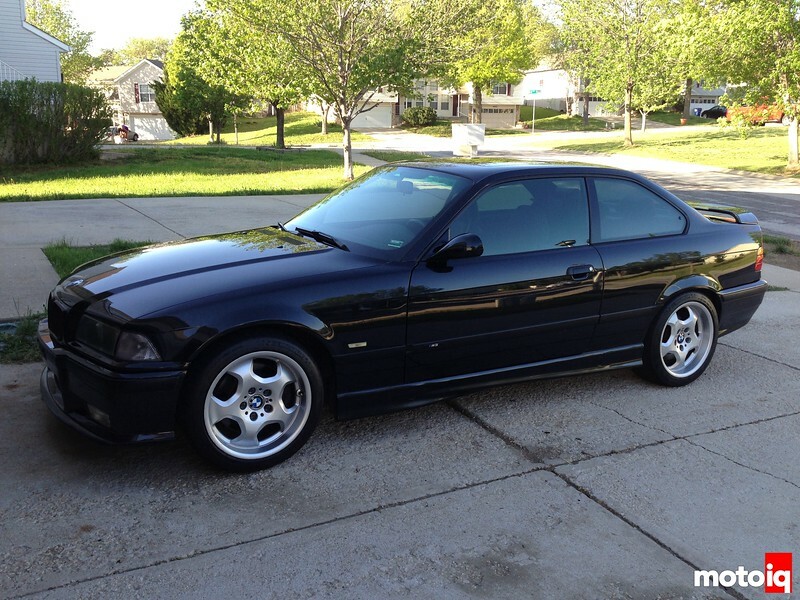 E36 M3 prices are incredibly enticing right now, but it's surprisingly hard to find examples which have been well cared for. To make a long story short, I ended up breaking most of the parameters of my requirements. I was searching for a 4-door with a light interior and exterior, but I ended up with a black on black 2-door. Incredibly hot summers and a child's seat to stuff in the back mean that this wasn't the most logical choice. It was, however, fairly local and from a known and trusted source. 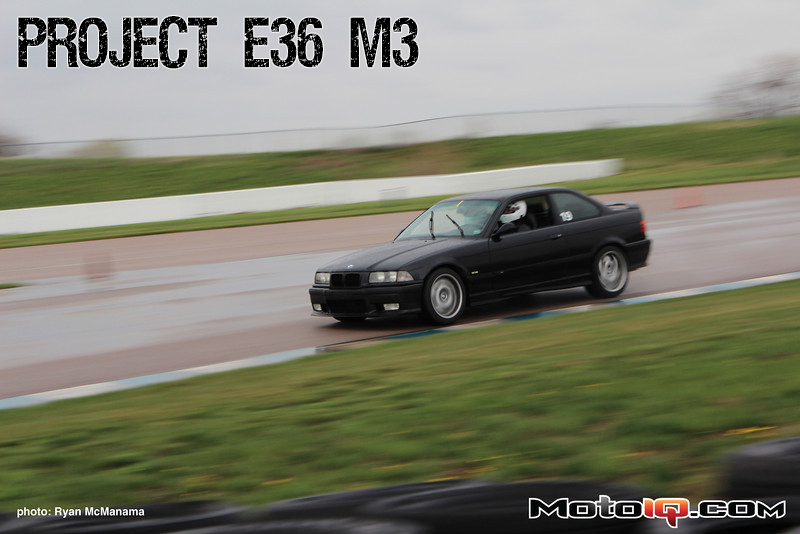 Plus, it was in good condition aesthetically, and it had the most solid and quiet E36 chassis I'd felt since the cars were just a few years old. Sold! Of course, the chassis feel didn't necessarily mean that it didn't need some help. 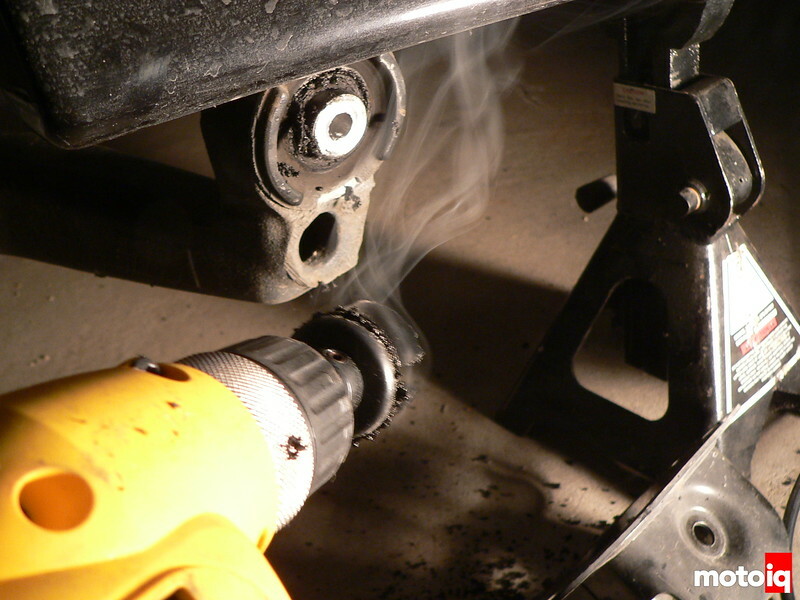 The previous owner installed Koni dampers, but everything else was completely stock… And original! At 14-years old and 115,000 miles, that meant it needed some serious love in the suspension bushing department, especially since the car's first track outing would be just a couple weeks after purchasing it. The first day of ownership made it painfully obvious that the wobbly beast needed rear trailing arm bushings (RTABs) in a bad way, as well as rear shock mounts (RSMs) and front control arm bushings (FCABs). I was fully expecting the RTABs to look bad, but I literally laughed out loud when I got a close up view. 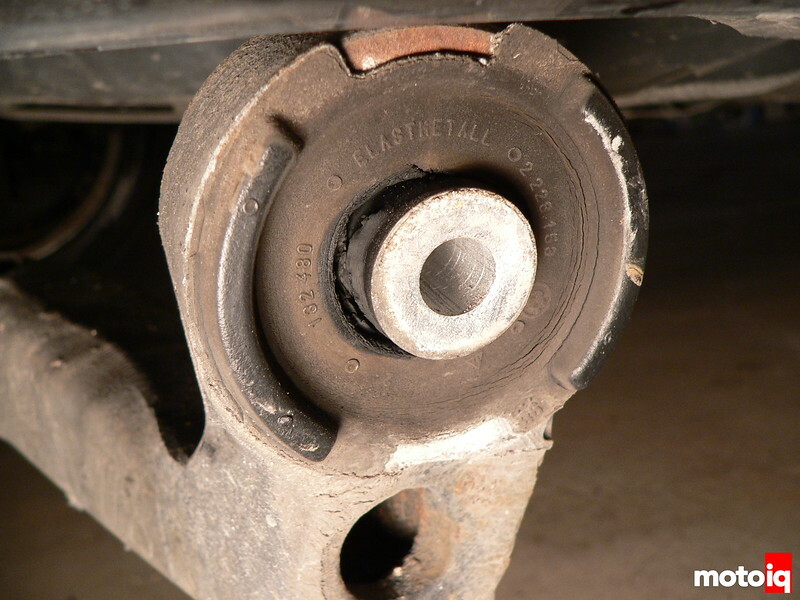 This would explain why the rear of the car felt like it had no idea what direction it wanted to go at any given time, even on relatively smooth surfaces. The thing is, however, that the internet lied to me. Okay, maybe not a lie, but the drill bit method was a horrible excuse for a DIY project. It was beyond frustrating, and I even thought of putting the car back together and just paying someone. Then I had a crazy thought as I looked through my drill bit box. What about my hole saw? MotoIQ.com’s Project 240SX LSR Claims Another Land Speed Record at the Legendary Bonneville Salt Flats!